The Bob. A symbol of the independent, progressive and spirited woman. 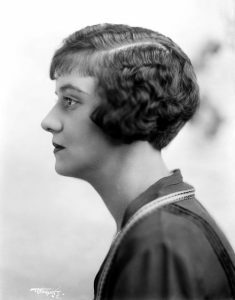 Strong women throughout history have been defined by their bob hairstyle and with movies and media in the 20th century, the style became a popular part of modern fashion. Prior to the 1920s, long hair was a symbol of femininity and beauty while short hair was considered rebellious and undesirable. Women would not cut their hair as to not offend the men in her life. However, with the women’s suffrage movement and increasing feminism, that mindset changed. Here is how the bob developed. The bob came about by accident in 1915. 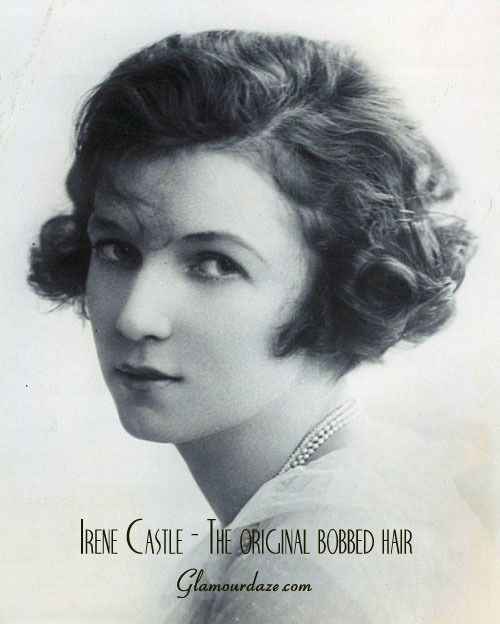 Famous ballroom dancer and actress Irene Castle chose to cut her hair for convience prior to an appendectomy. She hid her hair under a turban while it was growing back, but a friend convinced her to wear the short style in public. Thus the “Castle Bob” was born. 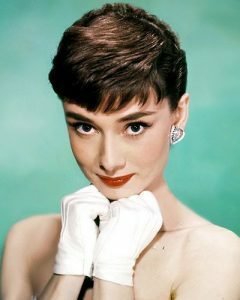 Soon this short hair cut with curls at the bottom was being worn by other celebrities and American women. It was also a practical style during World War I, as women would cut their hair to take on military duties and Red Cross work. Women were also becoming more active and health conscious, taking part in more athletics. The 1910’s also symbolized the women’s suffrage movement. A rising number of women were rejecting the politics of the day and campaigning for women’s right to vote. Media picked this up and with the advancement in consumer culture and technology, the bob debuted in magazines across the country. Though many media streams would label the look undesirable, the desire for hairstyles that were not so difficult to achieve and easy to maintain made the bob thrive. After the personal freedom allowed them during the World War 1, young women go out to work, get permission to vote, play sports and demand to leave the house unchaperoned. New financial independence and emancipation followed and cutting long hair became a symbol of independence and strength equal to men. 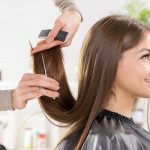 Hairdressers, more accustomed to styling long hair, were not prepared for the lines of women outside barber shops wanting to chop off their length. In 1923, the bob was worn in waves and the shingle cut emerged. The Shingle bob was a little shorter than the Castle Bob and had a V shape at the nape of the neck while the rest of the hair was flat and covered the ears. This new style fueled the flapper girl spirit to be more daring and controversial in style. In addition to the cut, women were trying out new hair colors and perms. During the 1930’s, bobs became less short and severe. Instead, a more feminine and sophisticated version emerged. 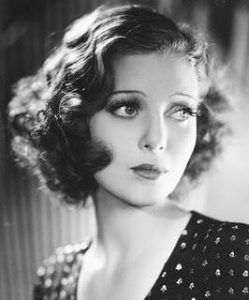 Jean Harlow, Marlene Dietrich, Greta Garbo, Bette Davis, Joan Crawford, Katherine Hepburn, Carole Lombard and Ginger Rogers all wore a natural and less severed version of the bob haircut through the 30’s and 40’s. However the bob still symbolized theindependent, modern woman. In the 50’s the bob took on a different shape. Page boy and gamine looks became popular. Bobs were jaw length and more smooth, structured and flicked out at the ends. Housewives would wear their hair in a structured bob that sits on their head with gallons of hairspray. Doris Day and Audrey Hepburn modeled bobs during this time. The bob emerged full force in the 1960’s when Vidal Sassoon gave fashion designer Mary Quant a modern bob with an English twist. This style was the five point bob cut. It was short, geometric, angular, unfussy and easy to style at home. This inspired several new versions of the bob such as the Pillbox bob worn by Jackie Kennedy and the super short cut worn by Twiggie.The gradual transformation between the conservative fashions and hairstyles of the 1950s into the younger, sportier looks of the 1960s is somewhat similar to the changes in fashion during the 1920s. 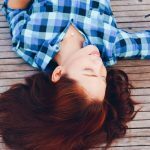 Young women took an interest in the future and wanted to distance themselves from the stuffy, austure views of their parents. Thoroughly Modern Millie, a musical film starring Julie Andrews is released in 1967. It is a jolly pastiche of the 1920s flapper girl attitude and continues the late 1960s love affair with 1920s style and culture. 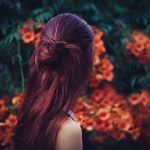 In the 1970’s, the coiffured look was out and a more natural way of styling hair was embraced. The emergence of the hippie movement brought out less structured styles and the 1970’s bob was much softer. Styles included flipped layers and the inverted bob. Normally the length was at the chin, but longer styles were also found. The pageboy look was in style after the 1976 Winter Olympics and ice skating champion Dorothy Hamill’s gold metal win. This low maintenance cut was also found on Kate Jackson in Charlie’s Angels and Joanna Lumley in The New Avengers. Punk styles also emerged with anti-fashion coming into the limelight. Debbie Harry’s bob was a messy anti-fashion bob in the new wave band Blondie. The bob had another renaissance in the late 1980’s. Growing out bangs, straigtening hair and brushing the front to one side created an asymmetric look. Crimped and permed bobs fed into the big hair look that was popular at the time and more daring fashionistas opted to dye their hair unnatural colors. In 1984, the buzz bob was created by Christiaan Houtenbos. This style looked like a classic bob from the front with the back shaved underneath. The sides or one side could also be shaved as part of the futuristic fashion trends. Punk styles had the spiky bob. 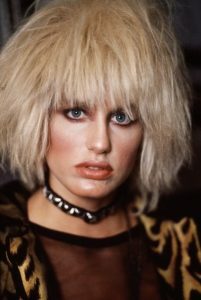 Pris, Daryl Hannah’s character in Blade Runner (1982) has a punky bob, along with pop stars Siouxsie Soux, Hazel O’Connor and Toyah Wilcox. The bob also had a retro resurgence with jazz and nostalgic music becoming popular. Swing Out Sister, Martika and Lisa Stansfield all sported retro bobs. The sleek bob and textured bob were also popular. Perms also become popular and the curly bob is seen as a sophisticated move away from the sleek boyish bobs and funky textured looks. During the 90’s the “Jennifer” was the sought after hairstyle. 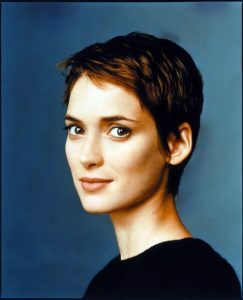 However, not far behind was the pixie cut favored by Winona Ryder. 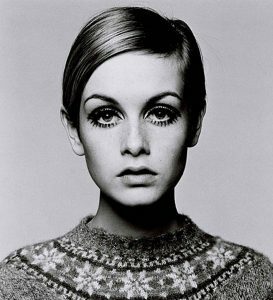 Pixie cuts were cut close to the head, was various lengths and choppy, bringing out the angles of the face. In the mid-90’s the bob went into hibernation. Eventually, the bob just became another hairstyle of choice coming come in all shapes, sizes, and colors. In fact, the bob is no longer a symbol of liberation or modernity in the 1990s. Everyone from Whitney Houston to Courtney Love and even Emo Phillips expresses personal style through the bob haircut. With the new millennium, the bob continues to be a strong presence in fashion and started becoming more popular. Pixie cuts were adopted by Emma Watson and Halle Berry. Victoria Beckham sported a bob with long bangs and a shorter back. Even the wavy and casual bob were still in fashion. Bob’s continue to be timeless and easy to maintain look with new styles emerging all the time.